Only horizontal seismic force is considered according to JTS 146-2012. 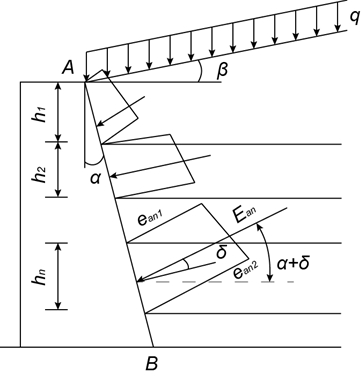 Calculation of seismic force acting on structure is as same as JTJ 004-89. Values of Cz can be set from 0.2 to 0.5 suggested by Art. 5.2 in JTS 146-2012. The only difference between JTS 146-2012 and JTJ 004-89 is that seismic earth pressure according to JTS 146-2012 considers the influence of cohesion. Seismic angel θ is determined by different options of seismic fortification intensity.